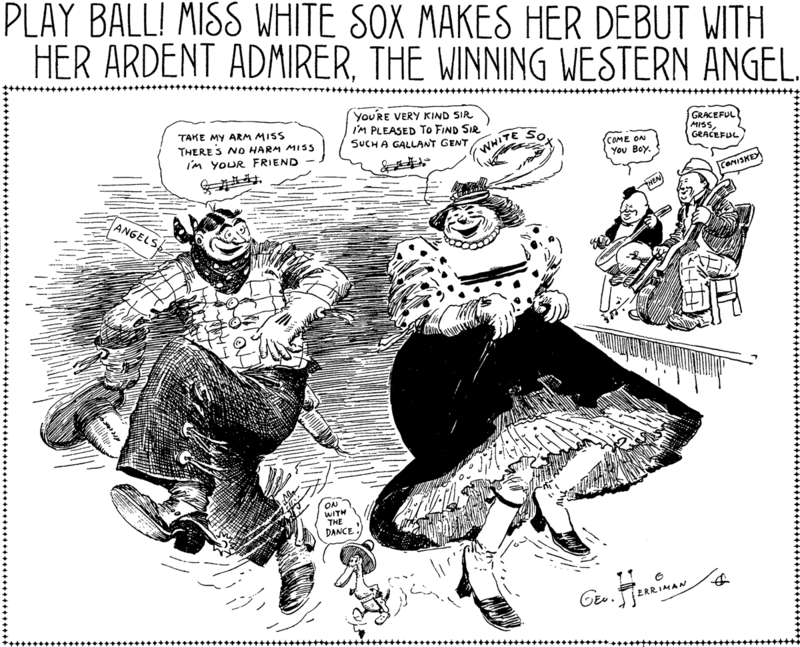 Friday, March 6 1908 -- The visiting Chicago White Sox, on their spring training excursion to L.A., are about to play their first exhibition game with the Angels. Paul Fung was generally employed behind the scenes, assisting or subbing for other cartoonists, and brilliantly so, but he does have a few signed credits. 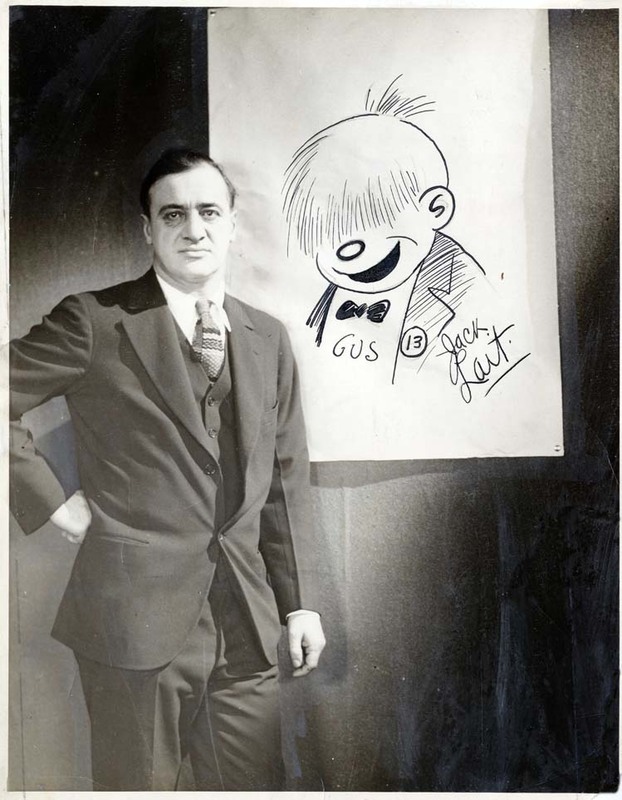 Here is the longest-lasting feature with which he was involved, Gus and Gussie. On this delightful strip Fung drew and Jack Lait wrote. 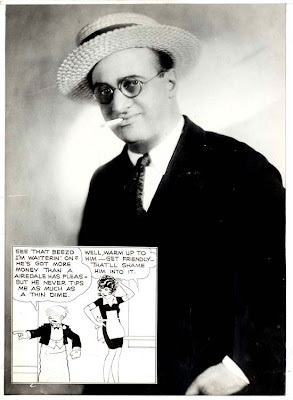 Lait was a Hearst yeoman who at various times was a sports reporter, crime reporter, columnist, syndicate editor, and newspaper general manager -- often wearing several of those hats at the same time. There are claims that in his heyday he had more words published per year than anyone else in the world -- a claim that may well be true, since in addition to his newspaper work he also wrote short stories, plays and novels. In short, this was a guy who torture-tested his typewriters. Lait probably never spent more than five minutes per day writing Gus and Gussie, but that was enough to make it one of the snappiest strips around. 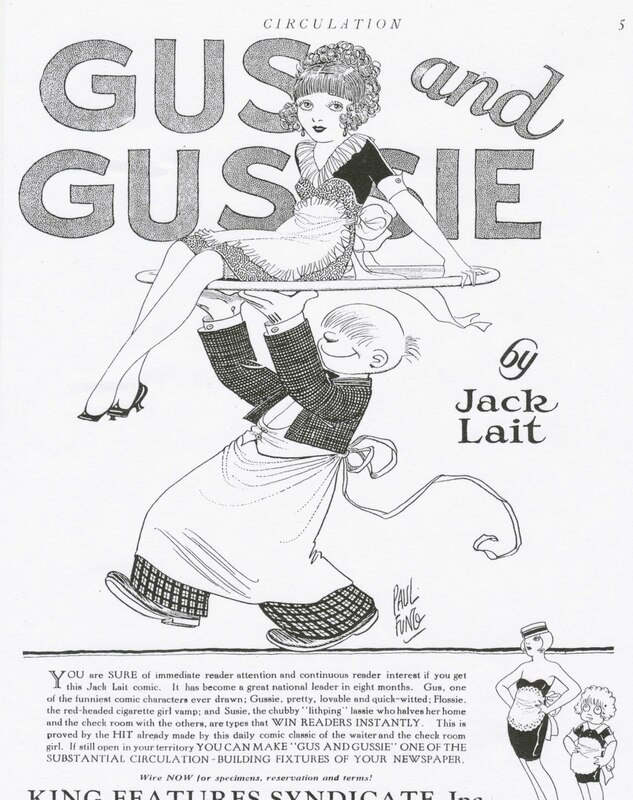 Gus the waiter and Gussie the hat-check girl speak an entertaining Runyonesque patois full of street slang and malapropisms, making every strip an adventure in decoding the duo's jargon.Early on in the strip the focus is on the peppery dialogue and their dealings with the nightclub patrons, but as the series went on the duo branched out into other employment opportunities, and longer, more involved, storylines. 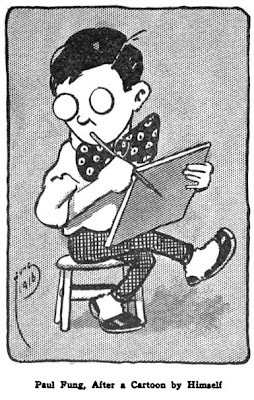 The art by Fung constantly betrays traces of Billy DeBeck and Chic Young, two cartoonists he assisted or subbed for at various times. Whether this is Fung's native style is hard to say as he seemed to be a true chameleon. Gus and Gussie ran in a modest number of client papers from April 13 1925 to February 24 1930. Fung was called on to replace Chic Young on Dumb Dora at this time, and apparently Lait had no wish to continue the strip with someone else at the art helm. Funny you should mention that about BLONDIE...IN some 1970's CHARLTON comic books such as BLONDIE, ROCKY AND BULLWINKLE, and HONG KONG PHOOEY, the art was credited/signed to "Paul Fung Jr." I guess sonny boy followed in Daddy's footsteps somewhat! Paul Fung Jr. assisted on Blondie in the forties and fifties and took over the strip offically in the sixties. He was a remarkable artist who deserves a post on his own. A very nice reporter with the Rock Hill (SC) Herald called me for some bon mots about comic strips, and of course I was happy to comply. In the reporter's article, which you can find here, I am recorded as saying that the newspaper audience is becoming senile. I was, in fact, talking about the aging newspaper audience, and it is possible that in a lighthearted moment I jestingly made some mention of senility, though I do not recall having done so. But if I did, it was obviously made with tongue firmly in cheek, and obviously should not have been quoted as if I were, in all earnestness, contending that newspaper readers are suffering from dementia. I realize that reporters have relentless deadlines, and I sympathize that they are underpaid and overworked. I have just enough experience dealing with reporters to know that if you get quoted precisely, and in context, you should consider it a small miracle. So I haven't complained to the reporter or the newspaper about the article, which quotes me extensively and in most cases, incorrectly. I just wanted to go on record here, just in case someone reads the article and comes to visit the blog thinking I'm a raving lunatic, that I do not think that newspaper readers (a group of which I am a proud member) are a group of doddering old fools. We may be old, but we are better informed than most of the public, who get what they laughingly call news from TV. Well, you might not be a doddering old fool but then you're younger than I am. 8.5 x 11. 624 pgs. 3100 color illustrations. Thanks for asking, DD. I'm being told by the publisher that the book will finally be off the presses sometime this summer, perhaps as early as June. Stay tuned for updates! 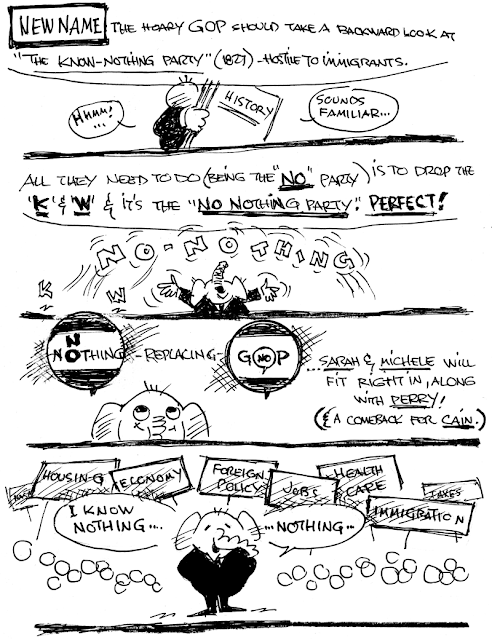 China has produced a myriad philosophers, poets and water color artists, but only one American newspaper cartoonist. 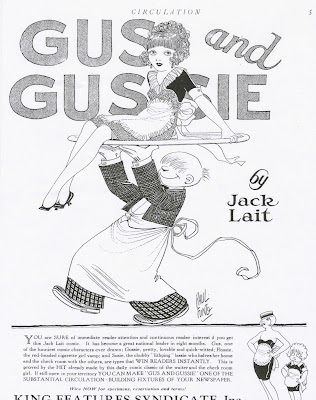 The only representative of the ancient nation in the realms of comic art is Paul Fung, who illustrates Jack Lait's Gus and Gussie for King Features Syndicate. Paul Fung was born in Seattle, the son of a Doctor of Divinity who presided over a Chinese Baptist Church. All of which goes to show that "Cartoonville" is the proper place for a Chinese minister's son. When he was 5 he went to Canton, China, where he studied for 6 years, working for some time with a man who painted water colors on fans. An elder sister who lived in Seattle accumulated piles of American comic sheets and sent them to him from time to time. In his Oriental surroundings he devoured them greedily and dreamed dreams of becoming an American newspaper artist. He returned to the United States. His family at that time lived at Portland, Ore., and there he got his start in the newspaper business as a carrier boy for the Portland News. He studied at American High Schools and then at the University of Washington, taking an art course. Meanwhile he drew posters for a theatrical enterprise. Later he become a full-fledged newspaper cartoonist on the Seattle Post-Intelligencer, doing sport, political and feature pictures. He attained local fame as a cartoonist and also as an entertainer, for he appeared for some time in a chalk-talk monologue at vaudeville theaters. Several of his war cartoons, in especial one entitled "The Sweetheart of the Allies," which pictured a Salvation Army lassie, spread his fame throughout the nation. He entered the employ of the Post-Intelligencer at the age of 17 and worked on that paper for nine years. A daily feature during the last two years of his stay with the Post-Intelligencer was Fitch and Fung, which consisted of verses by Carlton Fitchet [sic] illustrated by Paul Fung. Billy De Beck, creator of Barney Google, met Fung while on one of his western trips, and persuaded the young Chinese artist to come east. Soon Fung signed up with King Features Syndicate in New York and began The [sic] Guy From Grand Rapids, dealing with the adventures of a lonesome man alone in Gotham. This ran for a year, then Fung began his work as the illustrator of Gus and Gussie, which is written by Jack Lait. At the age of 28, Fung is an eminently successful newspaper artist, known throughout America as a careful, capable craftsman. "I draw because I enjoy it," says Fung. "I always liked to draw more than I liked anything else. I have two brothers who are also interested in art. Silas is studing [sic] at the Chicago Academy of Fine Arts and Timothy is doing well as a commercial artist. 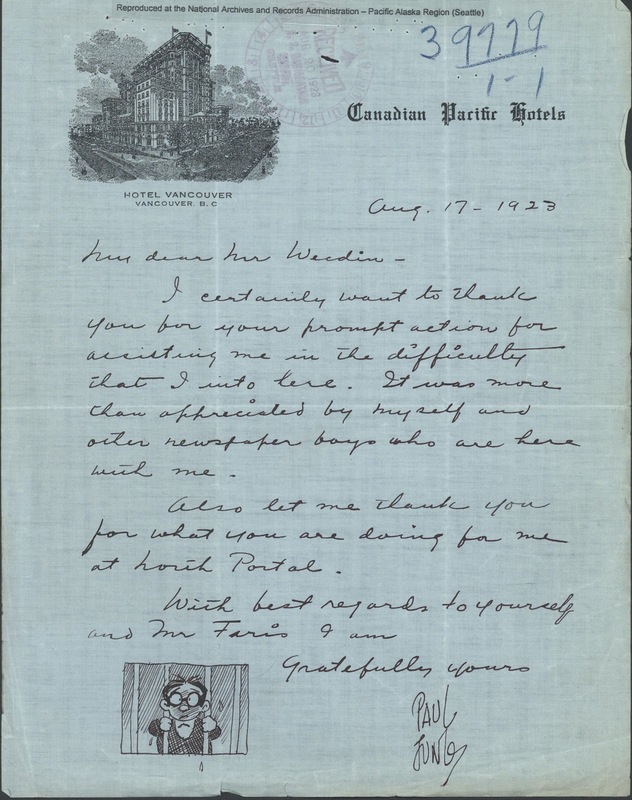 "I must express my gratitude to Billy De Beck, whose encouragement and friendship have meant a lot to me." "I am a pure Chinese, but please discredit any rumors that I'm identified with a tong!" And Paul laughed at his little jest while he bent froward [sic] over his drawing board to draw the curls on the head of his character, Gussie. (The Chinese Exclusion Act, passed in 1882, restricted the entry of Chinese into the United States. Its purpose was to keep out Chinese laborers. The act was renewed in 1892 and eventually made permanent. 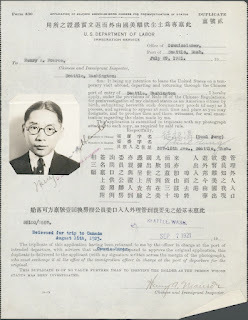 For the Chinese Americans already in America, they had to notify immigration whenever they traveled to a foreign country or territory, such as Hawaii. The travel documents of the Chinese were made in triplicate and shared with other immigration offices. For example, a Chinese resident of Chicago would have a file there. If he traveled to China through Seattle, then a file would be opened in there. 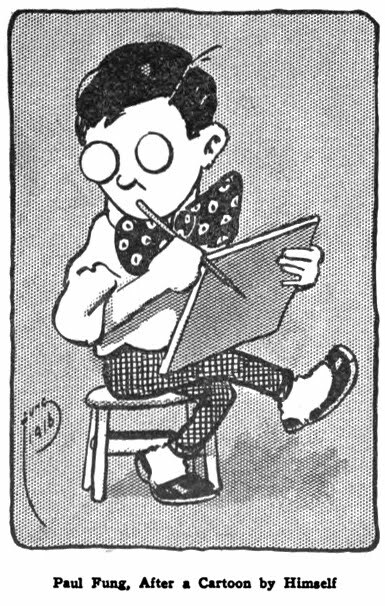 Paul Fung, the young Chinese-American cartoonist, of the Seattle Post-Intelligencer, is prized highly by his paper as the only one of his species in captivity. Young Mr. Fung has thus far succeeded in taking his honors with a degree of modesty which promises well for his future. With the tireless industry peculiar to the Chinese he has coupled an enterprise and a sense of humor truly American, and the combination has enabled him to put over a remarkbly [sic] high percentage of good work on his first newspaper job. Paul Fung was born in Seattle 18 years ago. 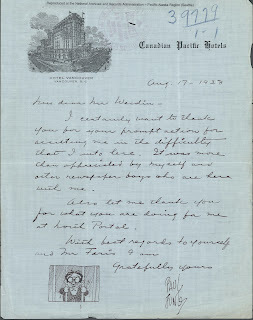 When he was five years old his parents returned to their former home in China, taking Paul with them. An older sister, who lives in America, sent the boy copies of the American comic supplements and he became ambitious to take up newspaper work in the land where he was born. From copying the Katzenjammer Kids and Happy Hooligan, Fung took the next and almost inevitable step of seeking instruction in drawing. His first teacher was a Chinese artist and he followed the Chinese method of instruction. Fung was taught to copy conventionalized flowers and leaves and birds out of a book of prints, working with camel's-hair brush on a pad of soft paper with Chinese ink as his medium. During his six years in China young Fung passed through what corresponds to a high-school course. At the end of that time with his father and his brother he returned to Portland, Ore., where he finished an American grammar-grade education. In Seattle, Fung entered the high school and speedily became the chief contributor to one of the high-school magazines published in that city. Ambitious still to work on a regular newspaper, Fung spent his spare time visiting the art rooms, listening to the advice of the men experienced in the business, and always trying to find his own opportunity. A large vaudeville theater wanted an artist to make up cartoons of the current acts for use as lobby displays cards, and Fung got the job. He held it so successfully that his work attracted attention from the newspapers, and he figured as the hero of several special articles. Eventually Fung got his chance, as most boys do who want to join a newspaper art staff badly enough. He went to work for the Post-Intelligencer as a comic artist, and is now making good as a cartoonist. 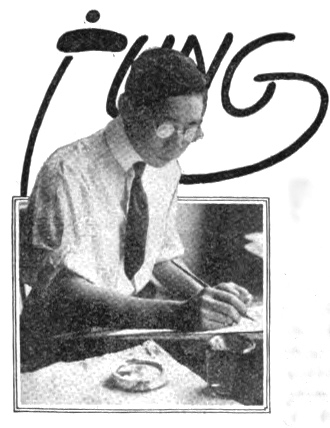 [If circumstances had been different, Ying "John" Zane may have preceded Paul Fung as the first Chinese American to become a nationally syndicated cartoonist. 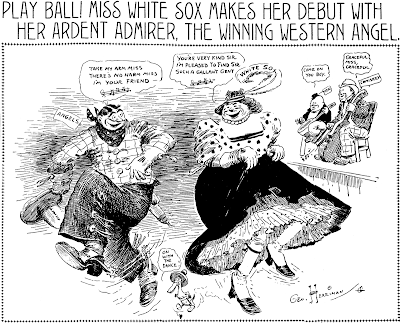 Cartoons Magazine, September 1915, published a short profile of him and a sample strip (pages 478–9). Years later his name appeared in The New York Times, October 11, 1924 when a fire erupted on a steamship. …When the first [fire] engines arrived flames were shooting through the superstructure and about 200 coolies of the crew, asleep below, had been confused by smoke and were shouting for help. Watchmen, firemen and policemen helped them off after they had been quieted by John Zane, a Chinese cartoonist on the China Press of Shanghai, who is working his way around the world as a member of the crew. A few Chinese jumped into the water and were fished out. They gathered with the rest on the pier, which also was aflame for a time, and cheered Zane for having saved them from panic and its consequences…. I've got two "Bughouse Fables" panel cartoons from 1930, clipped from the SF Call-Bulletin and credited to King Features Sydicate. Perhaps he was a KFS staffer? Oh, sorry, I should have added that both are signed by Fung. Asian Pacific American Heritage Month on the Stripper's Guide Blog! The month of May is Asian-Pacific American Heritage Month. We'll begin this week with a series of posts highlighting the career of Paul Fung, who will be followed, next week, with a look at Bob Kuwahara, Tom Okamoto and Chris Ishii. The Legend of Bruce Lee strip is discussed here and it has a link to a lot of the original art at Comic Art Fans. And here are some links to a few contemporary APA cartoonists. Lynda Barry at Wikipedia, A.V. Club, Drawn and Quarterly and the New York Times. Tak Toyoshima and his Secret Asian Man. Asian American Sequential Artists Resource Guide (AASARG) has a list a APA cartoonists' and their web comics. Be here tomorrow for the start of the festivities! Aren't Vic Lee ("Pardon My Planet") and Karen Moy (writer of "Mary Worth") also Asian-American? I do not know if Vic Lee is Asian American; the few articles I've read gave no indication of his ethnicity. If you have a source please identify it. Yes, Karen Moy is Asian American. A comprehensive list of Asian Americans doing comics would be a worthy project.